Spread a little bit of joy during the festive season with beautiful handcrafted ornaments from Belleek.Featuring hand embossed and hand painted festive designs. 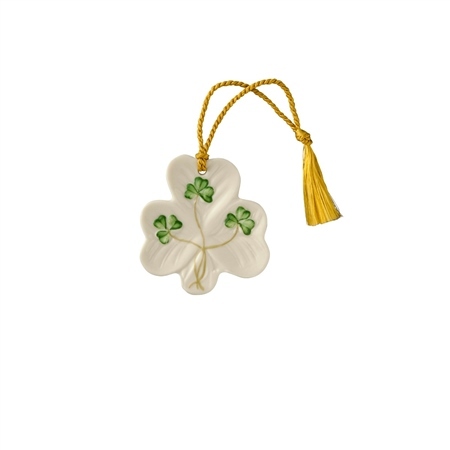 This ornament is shaped like a Shamrock and it will add the perfect Irish touch to your tree. A traditional Irish gift. Loved it. I purchased one for myself and one for a friend who opened their guest home to us in Ireland. What a lovely reminder to hang on my tree of my 1st trip to Ireland.